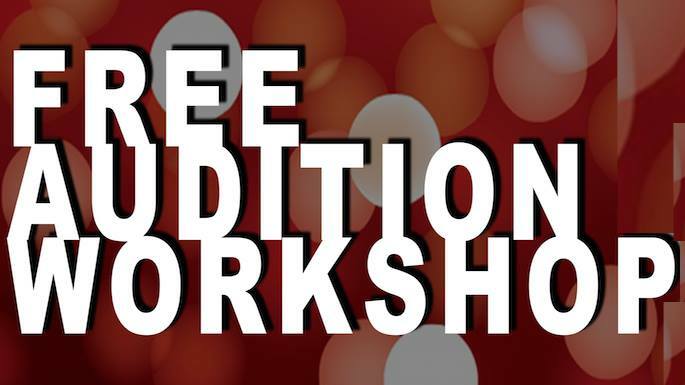 Join us for a free Audition Workshop on Sunday, October 29th, from 12:00pm to 2:00pm. The workshop will be held at the studio 100 Shaw Drive, San Anselmo. This free workshop is a GREAT opportunity for beginning performers to learn the basics from professionals, and a great opportunity for experienced performers to brush up on their skills. Bay Area professionals, Lauren Brody-Clarke, Bidalia E. Albanese, Maria Elena Cacciatore, and Daniel Savio, will not just tell you, they will SHOW you, what a solid audition looks like. Then you will have the opportunity to try out some of the skills discussed right there at the workshop. Bring a favorite audition song to work on, and bring your audition game to a whole new level! Bidalia E. Albanese is an accomplished Bay Area director, choreographer, performer and teaching artist. She is a graduate of The Guildford School of Acting in England and also studied at the School of American Ballet in NYC. Favorite roles include Frau Blucher in Young Frankenstein, Vicky in The Full Monty, the title role in Marisol, Desdemona in Othello and Dull Gret/Joyce a production of Top Girls for ACT. The past two summer she has spent at the Throckmorton Theatre, where she played Gingy/Sugarplum Fairy in Shrek, and Flotsom in The Little Mermaid. Most recently, Bidalia played the Empress in The Unspeakable Act, which won Best of Fringe at the 2016 SF Fringe Festival. Maria Elena Cacciatore is an accomplished choreographer and teaching artist. She did choreography for 2016 Best of SF Fringe Award winner, The Unspeakable Act. Maria works extensively in Marin, including at Happy Feet Dance School, Marin Horizon, the Mill Valley Middle School, 23 Elephants Theatre Company and the Throckmorton Theatre. Maria has collaborated as choreographer and/or director with Bidalia E. Albanese and Steven Hess on productions of the Jungle Book, Winnie the Pooh, and Romeo and Juliet, Jesus Christ Superstar, Rent, West Side Story, Shrek, The Little Mermaid, High School Musical, Young Frankenstein, and Legally Blonde.